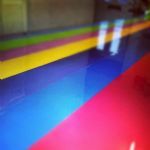 Not only do we sell Self Adhesive Vinyl in roll form, we also sell our full range of vinyl in A4 size aimed for the Arts and Craft market and for people who make custom graphics or decals using an A4 Craft Robo Vinyl Cutter / Plotter. 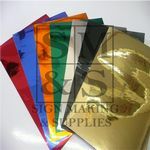 We sell the standard self adhesive sign vinyls as well as the specialst metallic films / vinyl and also carbon fibre effect vinyl. We also stock PolyFlex Garment / Tshirt vinyl or Heat Transfer films in A4 form for use in small detailing for garments such as hoodies, onesies and t shirts.